Do not miss the third and last week of free spins, tournaments and cash drops! 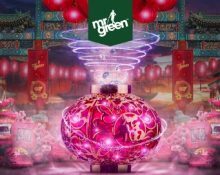 The final part of this awesome Chinese New Year campaign at Mr Green has just started wit more cash and free spins going to all players taking part. 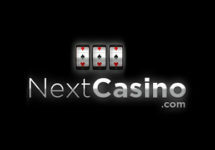 You can look forward to infinite free spins bundles, random cash drops, slot races and wager rewards. Take one or take them all, it’s up to you. Welcome the Year of the Pig at Mr Green as he will be celebrating in style with a 4-tiered campaign that will last for three weeks and see all active players getting a kick-start to their gaming in the Chinese New Year. Infinite free spins and a load of cash will go to those taking part in four weekly promotions. But hurry, they will expire at the end of each week. Forget counting sheep – get 30 secs of Infinite Free Spin Play Time on Lucky Mr Green with every 100 spins at minimum €0.50 per spin played on the Sheep game collection – for a total of 3 mins of extra fun each day. Sheep Collection on mobile and/or desktop: Flaming Fox, Ninja Ways, Lucky Valentine and/or Dragon’s Luck. Once 100 spins have been completed in any of the qualifying slots, 30 seconds of infinite free spin time will be unlocked which can be used on the selected slot. The 30 seconds counter will start after pressing ‘spin’ and players can complete as many free spins as possible until the time runs out. Every spin across the Dog collection could trigger one of 50 instant cash rewards of up to €1,000. Pick a slot game of your choice from the Dog collection and play actively at €1.00 per spin to potentially trigger a random cash prize drop. 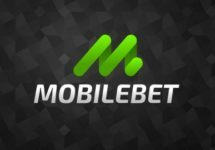 A total of 50 cash prizes from €25 to €1,000 are available throughout the campaign period. All prizes will be instantly credited in cash. An in-game tournament tab displays remaining time and prizes. Take part in a leader board race on three selected Quickspin slots. Spin with minimum €2.00 and score the highest equalized win in a single spin to race to the top of the leader board. All tournament info and leader board can be found within the game clients. 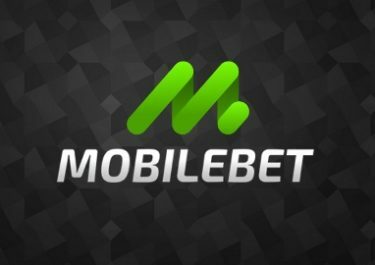 The TOP100 scorers by midnight on 19th February 2019 will win cash prizes worth €50 to €2,500, credited with no wagering requirements within 72 hours. Win your share of €10,000 in a special Reel Thrill tournament. Be among the TOP10 spinners to climb the Reel Thrill leader board by scoring the highest single coin win. Spin with minimum €2.00 per round on the tournament games to race into the TOP by midnight on 19th February and win cash prizes from €200 to €5,000. All prizes are instantly credited in cash once the tournament has ended.